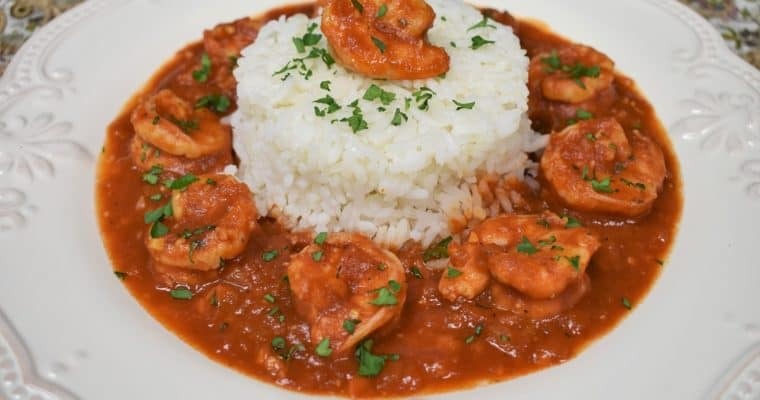 Saucy and a little bit spicy, camarones enchilados is a Cuban dish similar to a shrimp creole. Camarones enchilados translates roughly to spicy shrimp. The sauce comes together quickly and you can make it as hot as you like, just add more or less hot sauce. 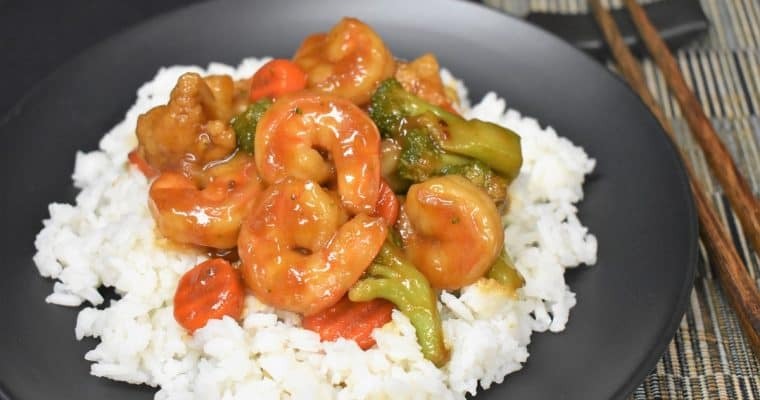 This exotic dish is really easy to make, and will spice up your weeknight dinner. 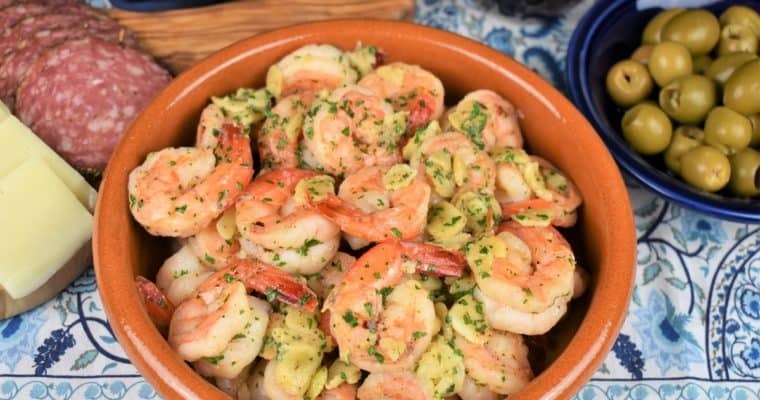 Camarones al Ajillo or garlic shrimp is just that, shrimp and a generous amount of garlic cooked in olive oil. 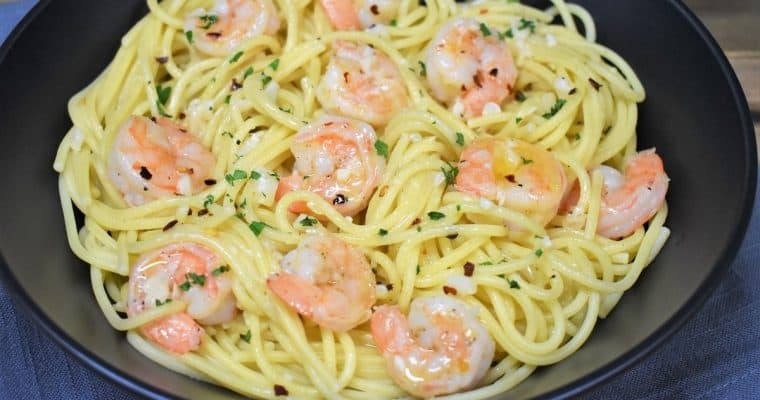 Don’t worry, about all that garlic though, it’s gently sautéed in olive oil so it loses a lot of its kick. The rest of the ingredients are simple: spices, parsley and lime, that’s it. Serve camarones al ajillo with sliced, bread for dipping in the amazing garlic sauce. 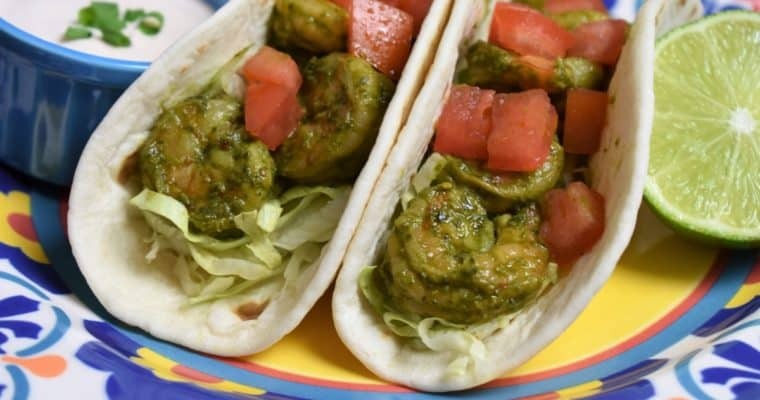 These cilantro lime shrimp tacos are quick and easy to make, perfect for busy weeknights. 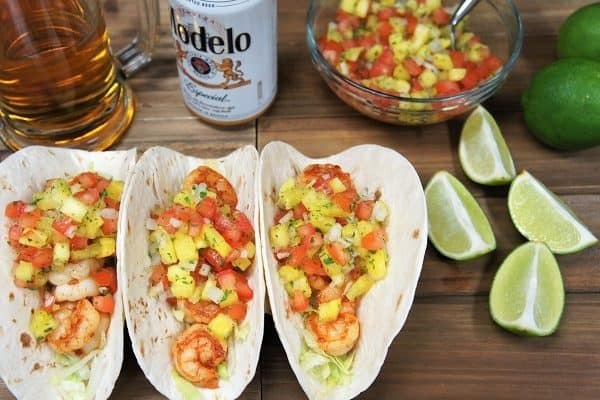 Large shrimp are marinated, then cooked in cilantro lime sauce that includes, green onions, soy sauce, garlic and crushed red pepper for a little kick. 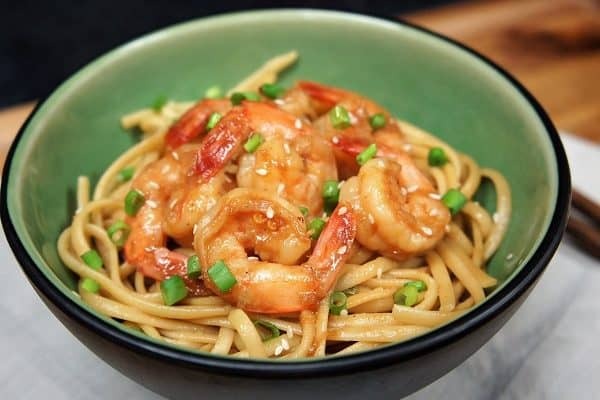 Dinner doesn’t get any easier than this shrimp & sesame noodles dish. 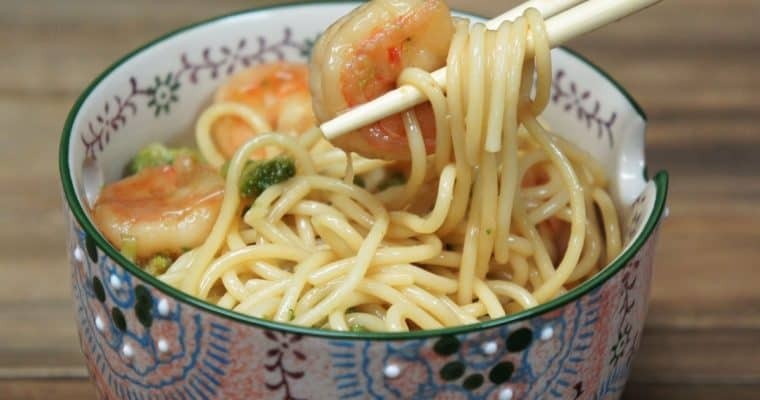 Tasty noodles topped with slightly-spicy shrimp in less than half an hour? Yes, please! 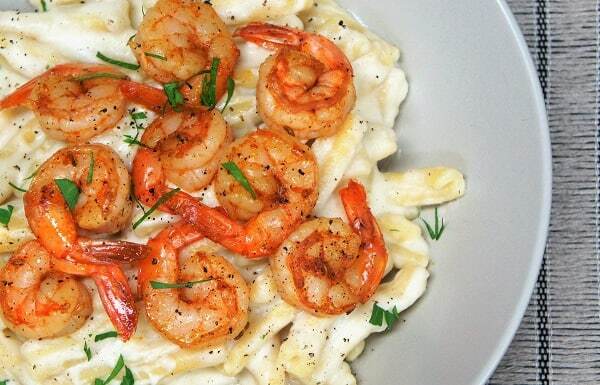 Just season the shrimp, cook the pasta, add the sauce; then quickly sauté the shrimp. That’s it, serve and eat. 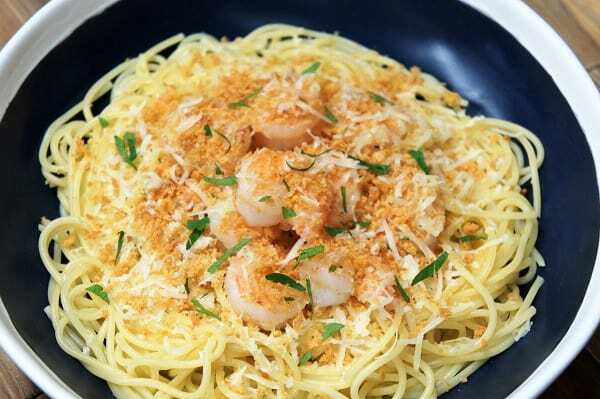 This meal is perfect for hectic weeknights and lazy weekends.